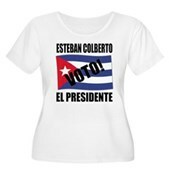 Hey Chicas! 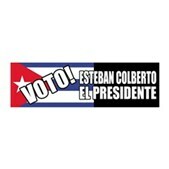 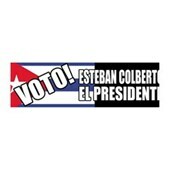 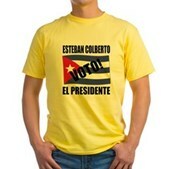 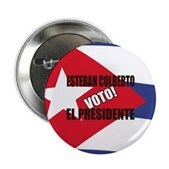 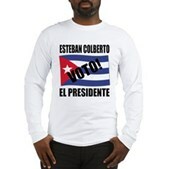 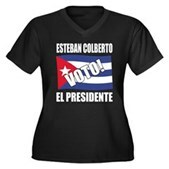 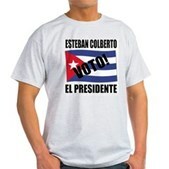 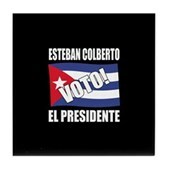 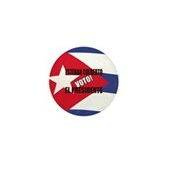 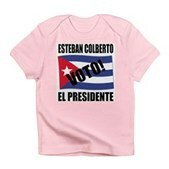 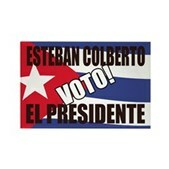 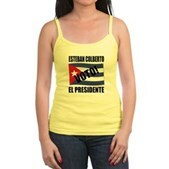 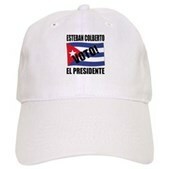 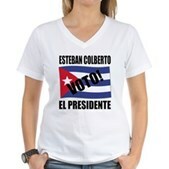 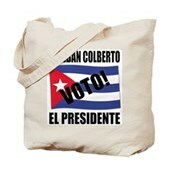 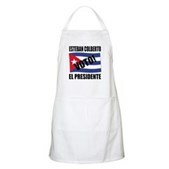 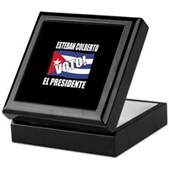 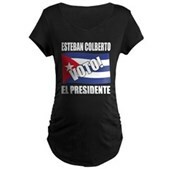 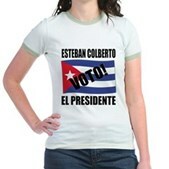 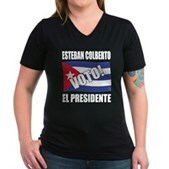 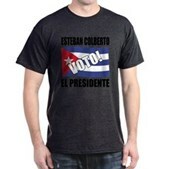 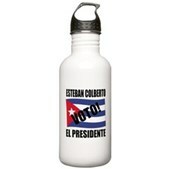 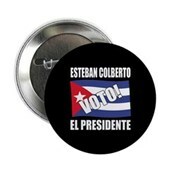 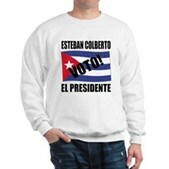 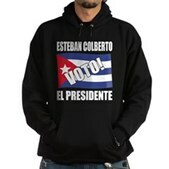 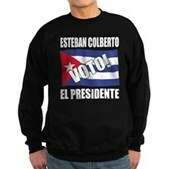 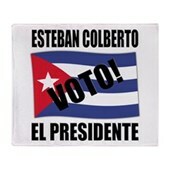 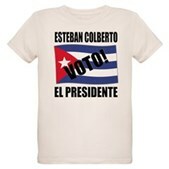 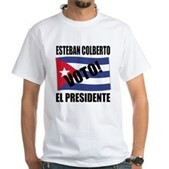 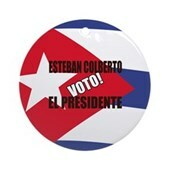 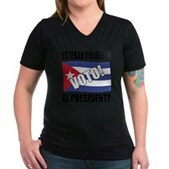 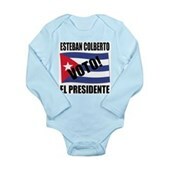 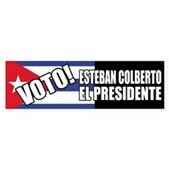 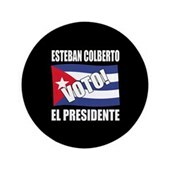 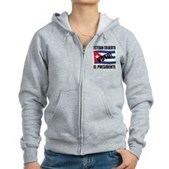 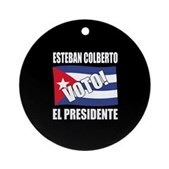 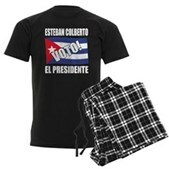 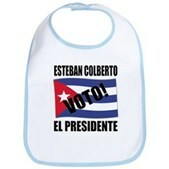 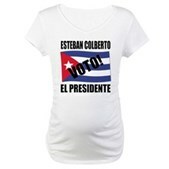 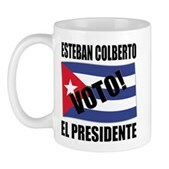 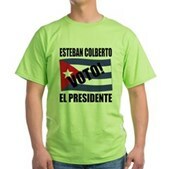 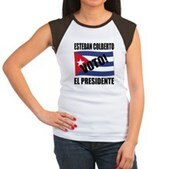 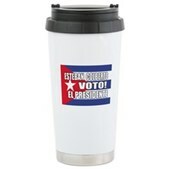 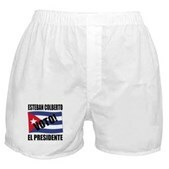 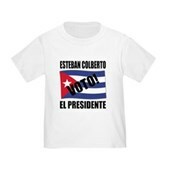 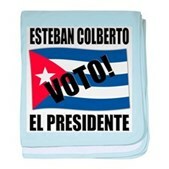 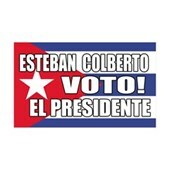 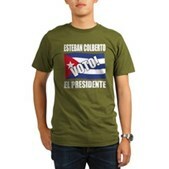 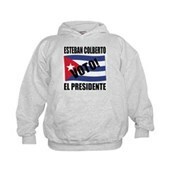 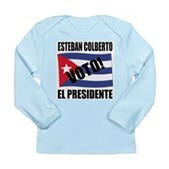 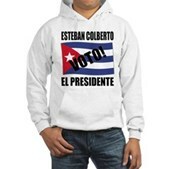 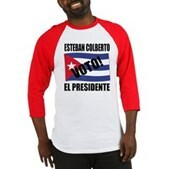 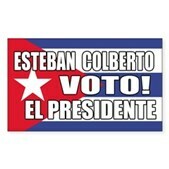 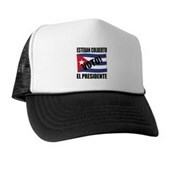 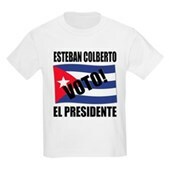 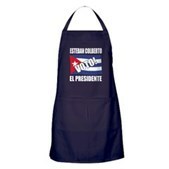 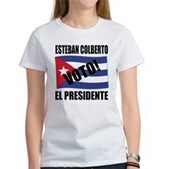 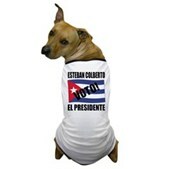 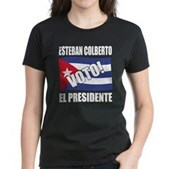 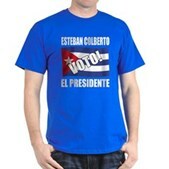 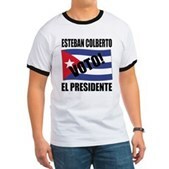 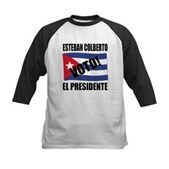 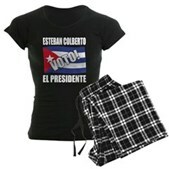 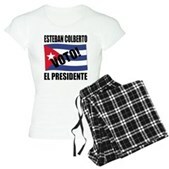 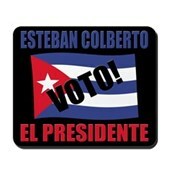 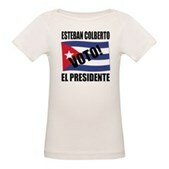 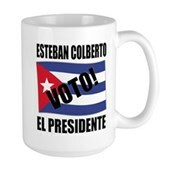 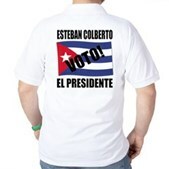 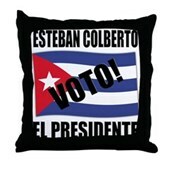 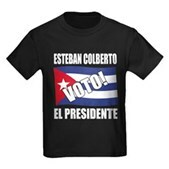 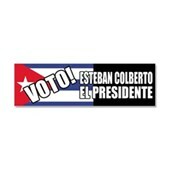 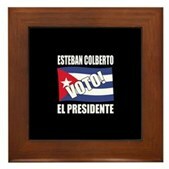 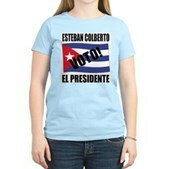 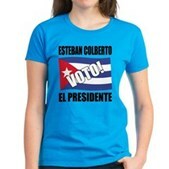 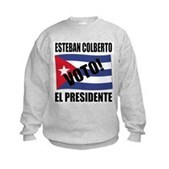 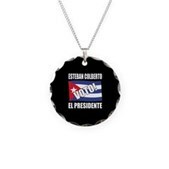 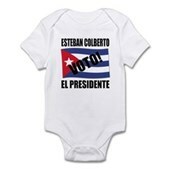 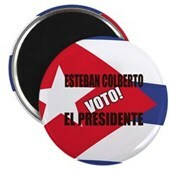 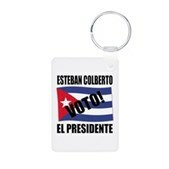 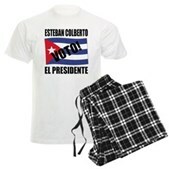 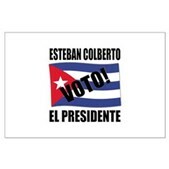 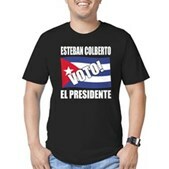 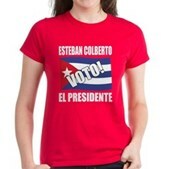 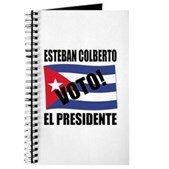 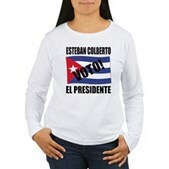 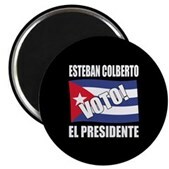 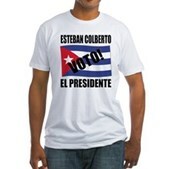 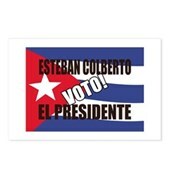 Support Colberto Reporto Gigante mastermind Esteban Colberto for Presidente of Cuba. 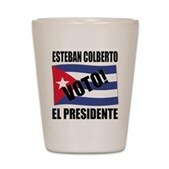 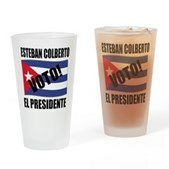 Once Stephen Colbert's rival, now his choice for Cuba - and the 51st state. 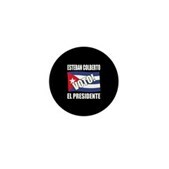 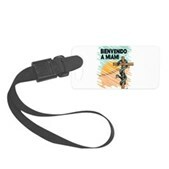 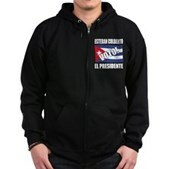 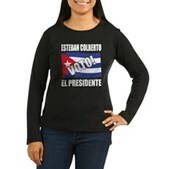 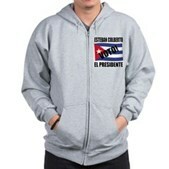 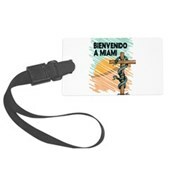 Who better to follow Castro than un Ãguila de verdad? 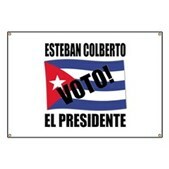 Just don't mess up our flag!